CHAMAN, Aug 29 (APP): The NATO supplies and cross border trade between Pakistan and Afghanistan was suspended as Pak-Afghan Friendship Gate on Pak-Afghan border in Chaman remained closed on twelfth consecutive day, here on Monday. However, traders and NATO supplies took their way to Torkham border to cross border into Afghanistan. 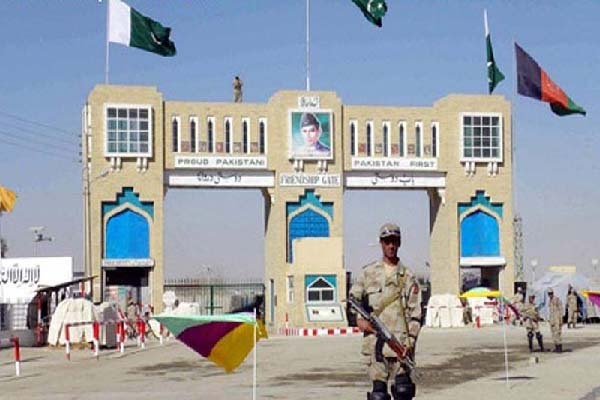 The Pakistani officials deployed on Pak-Afghan Friendship Gate in Chaman said that the Islamabad had been informed about the minutes of flag meetings held between officials of Pakistan and Afghan border forces in Chaman over the issue of the border closure. “The federal government will decide to open the border,” they said, adding that they were waiting for government orders. Meanwhile, sources in the Pak-Afghan Joint Chamber of Commerce, Quetta Chamber of Commerce and Industries and Chaman Chamber of Commerce said that traders and containers loaded with NATO supplies have now started moving to Torkham border in Khyber Pakhtunkhawa to cross border into Afghanistan. Hundreds of vehicles loaded with goods were queued in both sides of the friendship gate. Thousands of people were also waiting for opening of the gate to cross border. The border was closed after Afghan people torched Pakistan National Flag in Afghan area along the border few days back. “No one can be allowed to burn our National Flag and use derogatory language against our country,” said a Pakistani official deployed at border gate in Chaman. NATO supplies and cross border trade was also suspended. Official sources said that high-ups of border forces of the two countries were in contact.